Picture yourself behind the wheel of a classic Mercedes-Benz SL, traveling down a picturesque European country road with the wind in your hair. As you take in the scenery, you’ll immediately sense a deep connection to the heritage of Mercedes-Benz vehicles. With Mercedes-Benz Classic Car Travel Tours, your dream can become reality. Once you take a seat inside the legendary Mercedes-Benz SL, you will experience driving in its purest form. Timeless, elegant design surrounds you while you gain an appreciation of classic Mercedes-Benz engineering. You’ll have the opportunity to drive various models without having to worry about a thing. A professional team will accompany you on your trip, providing carefully chosen routes. Arrive in style at exquisite locations and sample the finest local cuisine. Experience quiet country roads lined with cypress trees, culinary delights in Italian trattorias and cultural highlights in Siena and Pienza. Sparkling chrome jewels, the deep blue sea, winding coastal roads, uninhibited driving pleasure — experience Provence at its best. 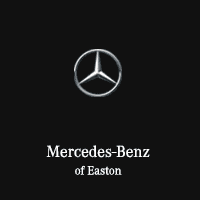 If you’re interested in piloting a legendary Mercedes-Benz Roadster from the W 113 and R 107 ranges across some of the most iconic regions of Europe, contact Mercedes-Benz of Easton for additional program details.